Burglary remains a major problem for residential security. Professional criminals target certain locations on regular basis and look to exploit weaknesses in your security procedures. 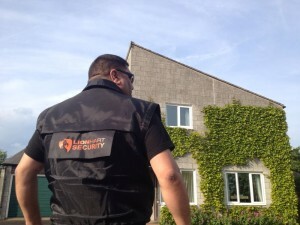 LionHart Security offers a tailored service that, in your absence, gives the appearance that the premises are occupied. These services include checking alarms, lighting adjustment and other measures to give the impression of occupation. There may well be someone alone at the house that needs comfort of knowing their premises are being visited every day. Whatever your needs Lion Hart Security can come and visit you and supply suitable references from existing clients.